The best email marketing software is HubSpot Marketing because of its robust set of features that allow you to make the most out of each campaign. With this platform, you get access to tools for targeted emailing, audience segmentation, and A/B testing. What’s more is that this is fully integrated across marketing efforts for more streamlined campaigns. Emailing is an invaluable form of communication in the modern world. It’s easy to use, it helps you get your message across in just a click of a button, and best of all, it’s free. So, it comes as no surprise that many business leverage this to reach their clients. However, are they using it to its fullest potential? This is where email marketing software comes in. These applications allow users to make the most out of each email they send by optimizing it for the purpose of boosting your lead conversions. If you have not invested in one yet or are looking to replace your existing email marketing tool, then, keep reading. 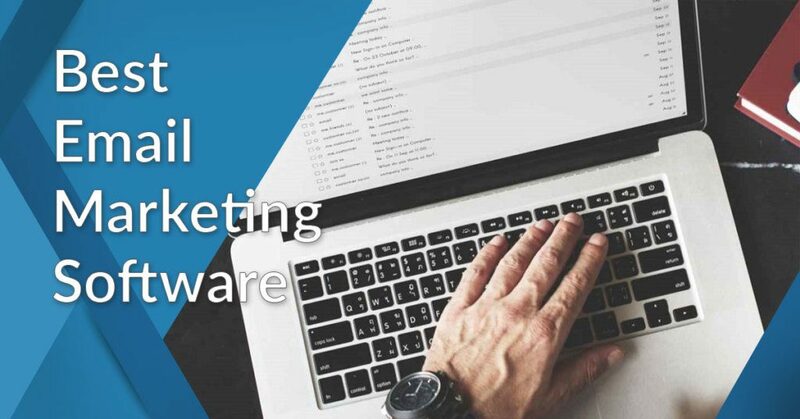 We have compiled the 10 best email marketing software on the market and analyzed their features, usability, and value for money so you can select the best one for your company. Over the years, plenty of market researches have indicated the effectiveness of email marketing strategies. To start, 205 billion emails are sent every day and email users are predicted to grow to three billion by 2020. Email marketing also has an average ROI of $40 for every dollar spent, making it one of the most profitable strategies to date. Furthermore, 80% of marketing executives state that email helps a lot to acquire and retain customers. In fact, it is better than Facebook as your followers are more likely to subscribe to your email newsletters than engage you on Facebook. Another impressive stat is that email gives higher conversion rates than the combined power of search and social media. With email, you can garner the attention of tech-savvy smartphone users as a survey shows that 88% of them check email on their phones. With these statistics, it goes without saying that emailing and email marketing software solutions are now essential parts of the business landscape. Using these platforms allows you to send personalized messages to target consumer segments. This is something you would not be able to do on social media. Email marketing is also cost-effective, measurable, and easily shareable, and it serves to improve brand awareness. Other advantages are flexible design as you can send text, images, and attach files, and scalability for large audiences. In addition, email marketing is less than intrusive than phone marketing and green friendlier than postal marketing, which makes it more attractive for your target audience. Get started by investing in a top rate email marketing solution. We help you in this task by describing in detail the main features and benefits of the 10 best email marketing software solutions available in the market. Before you implement your new software, however, do keep in mind that simply having one is not enough for you to reap its full benefits. We recommend you keep track of the latest email marketing trends and apply them to make effective use of this strategy. HubSpot Marketing is a sales, inbound marketing, and CRM suite with effective tools for email marketing. Businesses can utilize this platform to grow their subscriber lists and add email metrics to the solution without worrying about complex merging and export. This helps them to adopt a brand-specific and personalized approach towards consumers and makes email delivery more effective. Why is HubSpot Marketing at the head of our 10 best email marketing software list? To begin with, you can use it to create one-off email distributions as well as dynamically updated subscriber lists. Then, you can customize those emails to fit customers’ behavior and persona factors without needing coding skills. Make use of the ample selection of installed templates as well as analytics to enhance your email marketing. Other notable features of HubSpot Marketing include contact database, scheduling, and email lead nurturing, testing, and optimizing. The HubSpot Sales module allows you to create personalized email templates and measure performance based on the most used ones among them. Another advantage is you can add meeting links to your email to remind customers to contact you at a suitable time. You can test out these features yourself if you sign up for a HubSpot Marketing free trial here. SendinBlue Email is an email marketing software that is purpose-built for small and medium-sized businesses. This cloud-hosted, mobile-ready application can help you optimize emails through targeted campaigns, smart scheduling, audience segmentation, and workflow automation. What’s more is that the platform comes with intuitive builders that allow you to design beautiful emails and newsletters without the need for coding experience. To make sure that you are not only creating quality emails but also sending them at the most opportune time, this email marketing solution also offers smart scheduling tools that will allow you to pinpoint when you should be dispatching emails. As a reinforcement, actionable analytics tools are also provided so that you can monitor the state of your clickthrough rate and response rate in real time. In addition to the abovementioned features, SendinBlue Email also as open API capabilities that let it integrate with a wide range of third-party applications. This means you can easily merge it with your existing business systems or extend its functionalities depending on the needs of your operations. If you think this platform meets your requirements, be sure to sign up for a SendinBlue Email free trial here so that you can test out its features. A CRM platform at its core, vCita offers quite a robust set of email marketing functionalities. It offers a dynamic lead capturing tool that makes use of online forms and call-to-action buttons that will help you collect information from leads. The software will then consolidate all the data in one place for you to organize according to buyer persona, demographics, or other criteria. After which, you can make use of its emailing features to effectively communicate with your target audience. Among the email marketing capabilities that vCita has to offer are its email builder that requires no coding knowledge, campaign management tools that can be used on both desktop and mobile devices, as well as tracking options that let you check client activity and click rates. The platform even comes with client communication tools in case you need to speak with your customers through other channels such as social media networks. To top it all off, what really sets this apart from its competitors is that it has built-in CRM capabilities. This way, you can create personalized emails to all of your customers. Should you think that this is the platform for you, you can sign up for a vCita free trial here to take it for a test run. HelpCrunch may be designed to be a customer support software but it packs a punch when it comes to email marketing management as well. It is equipped with powerful features for email automation, campaign management, message triggers, and customer targeting. Moreover, this platform comes with customer data and action tracking to help you understand exactly where each lead is down your sales funnel. This way, you can simplify how you create the right message to send at the right time. As a plus, because this is first and foremost a customer support tool, HelpCrunch supports multi-channel customer communication. With this feature, you can ensure that it is easy for leads and existing clients to reach you whenever they have questions about your products and services. To top it all off, HelpCrunch comes with open API tools so that you can integrate the system with your favorite applications. If you would like to learn more about what this platform has to offer, don’t hesitate to sign up for a HelpCrunch free trial here. Next on our list of 10 best email marketing software is Marketo, a simple marketing tool that offers sophisticated and flexible features. It has a scalable architecture that allows it to meet the demands of high-growth businesses and large enterprises. You can leverage this product for marketing automation, marketing management, and customer engagement marketing. Plus, you can easily personalize the system to adapt it to your preferences and requirements. Another notable feature of Marketo is that it can effortlessly create attractive email templates without HTML skills by simply utilizing the visual drag-and-drop user interface. The application also simplifies email marketing by enabling you to send email messages based on pre-defined steps, actions, or timing. Marketo emails are easily shareable on social networks as they come with a “Forward to Friend” feature. On top of that, you can utilize the email testing tools to try out different types of content and to alter the content dynamically to make it suitable for specific situations. Finally, Marketo’s seamless integrations with popular CRM products enable companies to sync the activities of their sales and marketing teams for improved awareness and collaboration. ActiveCampaign is a user-friendly and integrated platform for small business marketing. You can use this tool to create and send attractive and engaging emails. This application is a cut above conventional email marketing software solutions as it offers an effective set of messaging and email features that are linked to a strong marketing automation tool. ActiveCampaign’s sophisticated split testing functionality enables you to easily test the content, subject lines, and information you send to learn what is effective for your audience. You can then send the best version indicated by the tests to your contact list. Another advantage is you can use advanced segmentation to send relevant messages only to interested contacts. This will enable you to maintain a high level of engagement and deliverability. Segmentation can be done based on contacts’ demographics, page view history, purchase history, custom fields, and other criteria. A standout feature is that it allows you to send well-timed messages that are based on a contact’s behavior. You can set triggers according to the actions of customers that will alert ActiveCampaign to automatically send a text or email message. This allows you to adapt and respond quickly to a prospect’s behavior and send them personalized messages for effective engagement. Another leading email marketing platform is Wix ShoutOut. It is a browser-based platform equipped with an intuitive campaign editor where you can consolidate contacts across channels in one database and create responsive emails that can be tracked in real-time. With this at your disposal, all you have to do is select a template from their database, customize it according to the needs of your campaign, and specify the contacts you want to send the emails to. After which, you can start monitoring the performance of your campaigns through stats trackers. What’s more about Wix ShoutOut is that it is available completely for free if you are looking to send out a maximum of 3 ShoutOuts per month. This makes it great for small businesses and medium-sized companies who have limited financial resources. For larger teams, they offer paid plans that can accommodate a larger number of ShoutOuts, emails, and contacts. iContact Pro is a leading marketing automation tool that comes with advanced email marketing, segmentation, triggered messaging, and engagement tracking features. In addition, it also offers social posting and tracking, landing page creation, and CRM functionalities. You can use this application to effectively manage your lead scoring and lead generation processes. iContact Pro empowers you to effortlessly handle your email marketing strategies and campaigns. It provides a message creator as well as segmentation and A/B testing tools. In addition, you need not worry about your constantly growing customer base as you can easily manage large volumes of client IDs by using list management tools. Besides email marketing, iContact Pro is also known for its smooth integration of social media management and analytics. You can easily schedule campaigns over LinkedIn, Twitter, and Facebook. Finally, you can count on excellent customer support via phone and email if you face any issues. Much like HubSpot Marketing, Salesforce Marketing Cloud is a fully integrated application that lets you perform all marketing tasks ranging from lead segmentation to customer journey mapping. It offers an intuitive email builder that comes with customizable templates as well as a campaign managing tool that lets you automate the entire emailing process. Salesforce Marketing Cloud also leverages artificial intelligence. This allows you to create predictive journeys based on customer data and behavioral patterns so that your campaigns are fully optimized to engage your leads and retain their attention. You may also use this to streamline the flow of your messages. In addition, this platform goes beyond email marketing management. Salesforce Marketing Cloud also comes with social media management options, landing page creators, advertising studios, and interaction studios. With that said, you no longer need to find separate systems for your other marketing efforts. Last but not least on our list is MailChimp, a popular email marketing tool used by thousands of customers across the world. Purpose-built for emailing, this application comes with intuitive email builders, customizable forms, and campaign automation features. It even provides users with email delivery tools to help you make sure that your emails are being dispatched properly. MailChimp also offers robust contact segmentation options that let you group your leads according to their age bracket, browsing behavior, open/click history, or even their location. This way, you can create better and more targeted emails for each campaign. The platform is also equipped with A/B testing functionalities to help you gauge the effectiveness of your campaigns even before you launch them. Other notable features that this platform has to offer are its SMS options, email delivery by time zone, and geolocation tools. Finally, MailChimp archives your campaigns so that you can easily recreate them in the future. In case these functionalities are still too basic for you, MailChimp supports a number of third-party applications for you to choose from. As you can see from our list, there are many types of email marketing solutions to choose from. While they share a handful of functionalities, not all of them will be able to cater to your unique operational needs. So it is best that you carefully assess each software solution according to not only to industry standards but also your specific requirements. Moreover, don’t shy away from consulting experts or asking the vendor regarding particular features of a product or details in pricing plans as this can potentially save you from encountering problems later on. The platform has an email builder with a drag-and-drop functionality but can also support coding. It can create mobile-responsive emails. It has email list segmentation options for targeted emails. It offers A/B testing tools and analytics solutions. It provides tools for custom form creation. It can support a good number of integrations. It has a storage capacity that can support your database and be upgraded when your business grows. The vendor offers hands-on technical assistance and provides access to a knowledge base. The software is available in flexible pricing packages that may be upgraded or downgraded. If your prospective software solution has all the abovementioned qualities, then, you can be sure that your email marketing campaigns will be in good hands. To learn more about these software solutions, be sure to check out this article on the features and benefits of email marketing software. This should provide you with a more in-depth explanation of what these platforms can do for you. Should you still have any doubts about which platform to invest in, we recommend opting for HubSpot Marketing as it offers a fully integrated solution that can address a wide variety of marketing tasks. From lead capturing to campaign management, this platform has all the tools you need in one convenient hub. You can even test it out if you sign up for a HubSpot Marketing free trial here.